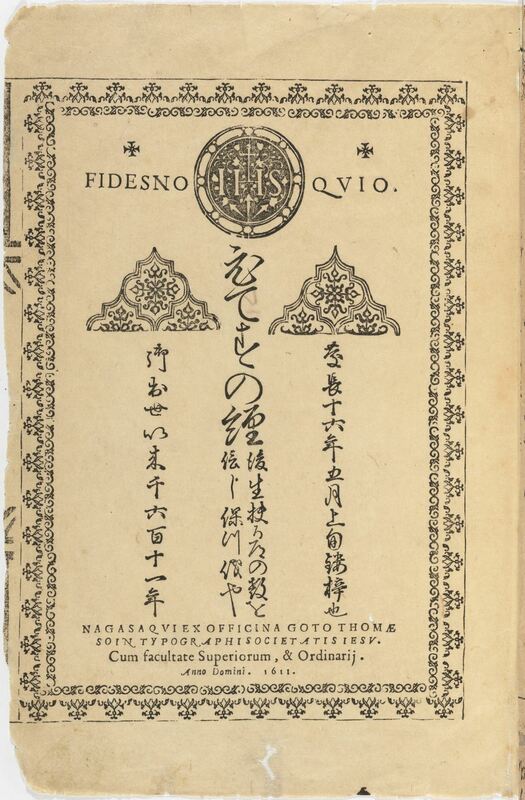 This Japanese translation of a Catholic devotional work previously published in Spanish and Portuguese was printed from moveable type on a Western-style printing press operated in Japan between 1590 and 1613 by Christian missionaries of the Jesuit order. Although it was known from documentary sources that the press had published this title, it was long thought that no copies survived. In 2010, however, a young Japanese scholar doing research at Houghton Library recognized the work from the then-minimal record in the library catalog and identified this unique surviving copy. The discovery received much publicity in Japan, and teams of Japanese scholars came to Houghton Library to study the book. A complete facsimile edition published in Tokyo in 2011 includes extensive commentary that sheds new light on the history of the Jesuit Mission Press in Japan and on the earliest Western-style casting and printing of Japanese characters in Japan.